As early as the beginning of the 1780s, William Pitt was already on his way to being seriously in debt. He had regularly borrowed money from his mother in the 1770s in order to pay for his tuition fees at Pembroke College, Cambridge, and she (along with her brother, Pitt's uncle Lord Temple) helped William to establish himself at rented accommodation (the attic rooms of number 4, Stone Buildings) during his time at Lincolns Inn. In an insightful account book spanning the 1780s, there is a sampling of Pitt's debts, and a listing of sums made out to various people. By the end of 1785, Pitt was in debt by £24,391 19s 3d. Augustine Greenland paid him £4,000, and Pitt’s debts were then £20, 787 9s 8d . Pitt and his older brother John, the second Earl of Chatham, were already known to Greenland from about the year 1780. At the end of 1786, Pitt's debts had already spiralled to £38,832 14s 7d! It is from about this point in time that the frequent and large sums of money begin to disappear from Pitt's account book, and are made out to an unnamed "Bearer." £359 to Bearer on Sept 25, 1787. These are vast sums of money, and although Pitt must have had many creditors by this point, it is unclear who exactly was receiving these payments. What does this tell us? The records for this account ledger ceases after 1788. These are very complicated and highly intriguing debts. There is evidence of bonds, interest paid on these bonds, and money given to various friends including George Rose in 1785. Most of these people, including bankers, are directly named - as is Pitt's mother Lady Chatham, and his sister, Lady Harriot - so “The Bearer” is someone not directly named. In all likelihood, we may never know the full extent of what caused William Pitt to become so deeply embroiled in debt by his mid-twenties. 1. The National Archives. Chatham Papers: PRO 30/8/219, Part 1. 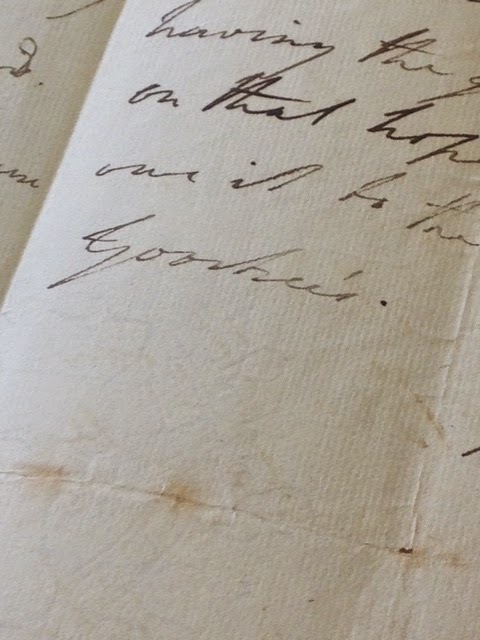 Figure 1: William Pitt's handwriting, with a mention of Goostree's gentleman's club, from a 1779 letter to his friend Edward James Eliot (Source: Pretyman Papers, Ipswich Record Office, Suffolk, England).